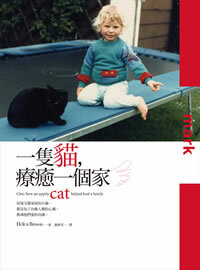 Helen Brown wasn’t a cat person, but her nine year-old son Sam was. So when they went to look at a newborn litter, he managed to convince his mum to get one. Just a week later, the family was struck by unthinkable tragedy. 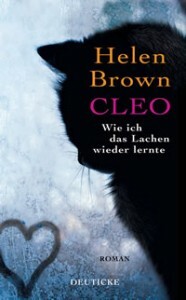 Cleo is an uplifting book about love, loss and redemption. 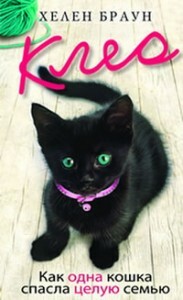 It’s also about a small black feline who helped heal a family. I had no intention of adopting a pet when I took our sons, Sam and Rob, to visit a friend’s new kittens. I wasn’t even a cat person, but nine year-old Sam was. 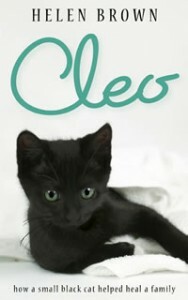 He fell in love with the runt, talked me into getting her and named her Cleo. Just weeks later, our family was hit by tragedy. Traumatised, I’d completely forgotten about the new arrival until the little black kitten was delivered to our doorstep. I was ready to send Cleo back, but when I saw her make Rob smile for the first time since the accident there was no choice. Cleo had to stay. 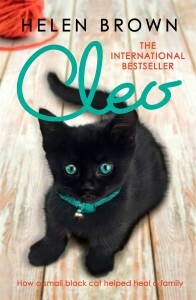 After hitting best seller lists around the world, Cleo jumped on the New York Times Best Seller list its first week in US bookstores. It stayed on the UK Sunday Times best seller list for several weeks. 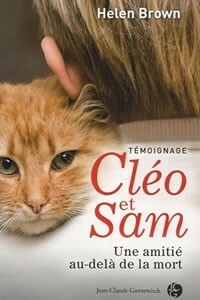 It is now in more than 16 languages, and was short listed for prestigious awards in Germany and France. 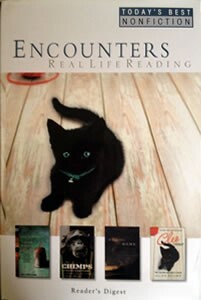 Cleo appears on the cover of US Reader’s Digest Encounters – Today’s Best Non Fiction Vol 22 and in South African and Australian editions. A major motion picture is in development. In the tradition of Marley and Me, this memoir is written with warmth and candour, writes Pamela Prior. An uplifting look at how “an uppity cat” helped heal New Zealand-born Brown after the accidental death of her little boy, Sam. In the tradition of Marley and Me, this memoir about an impish black kitten teaching a grieving family to love and laugh again is written with warmth and candour (Brown finished it as she was recovering from breast cancer surgery last year). Not just for cat lovers.